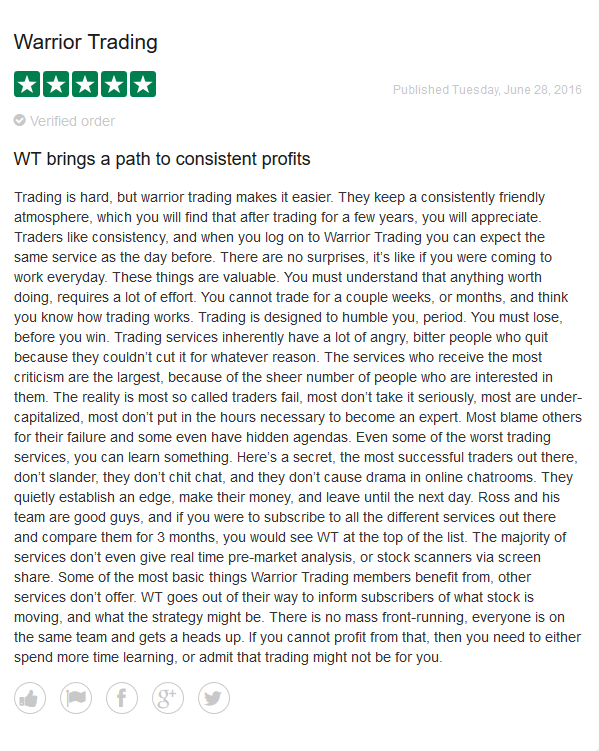 The Warrior Pro program gives access to the full set of Warrior Trading classes, our live trading chat room, full set of scanner settings, and 5-times-weekly group mentor sessions. 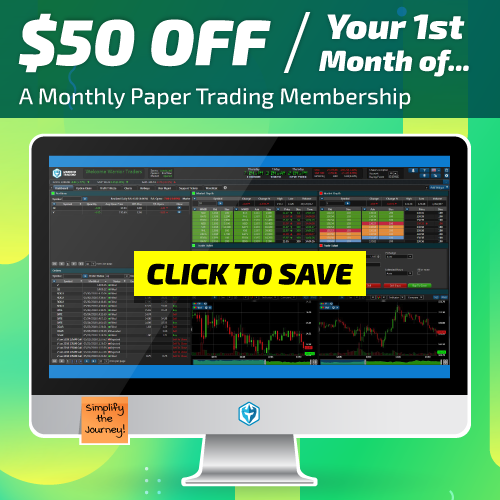 You will also get 90 days of access to our trading simulator. 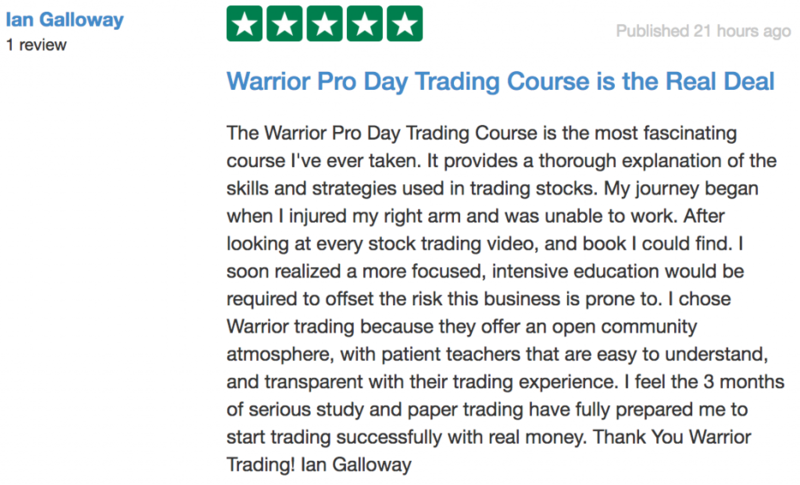 Warrior Pro classes are made up of our Warrior Starter Course, Original Day Trading Course for Small Cap Stocks, Large Cap Day Trading Course, Swing Trading Course, and Options Swing Trading Course. All of our courses are digitally recorded and streamed 24/7 from our site, so that students can study when it works for them and their personal schedules. The stock market is open from 9:30 AM until 4 PM EST. 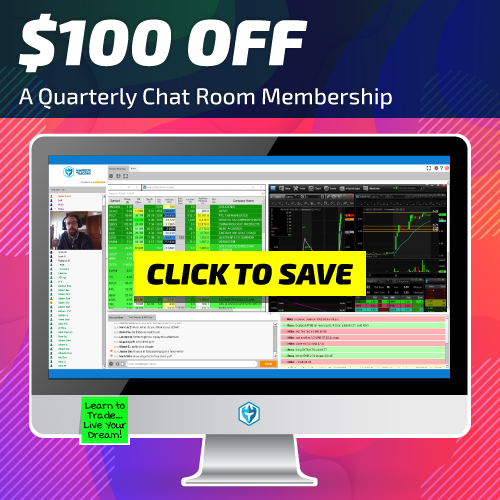 We open the live trading chat room at 9 AM EST, so that people can watch us build our watch lists and prepare for the day. 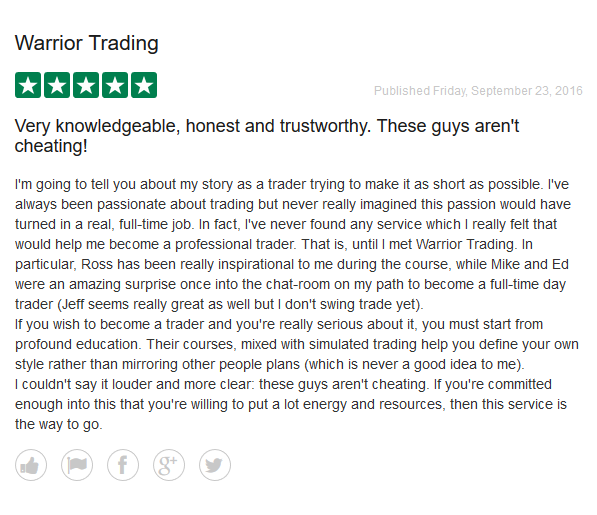 The live mentor sessions that are a part of the WarriorPRO bundle run every Tuesday, Wednesday, Thursday, Friday at 3pm EST, as well as Wednesdays at 6am EST in our online classroom. These mentor sessions are also recorded so that students who cannot attend the live sessions can still participate, and all students can rewatch sessions afterwards. 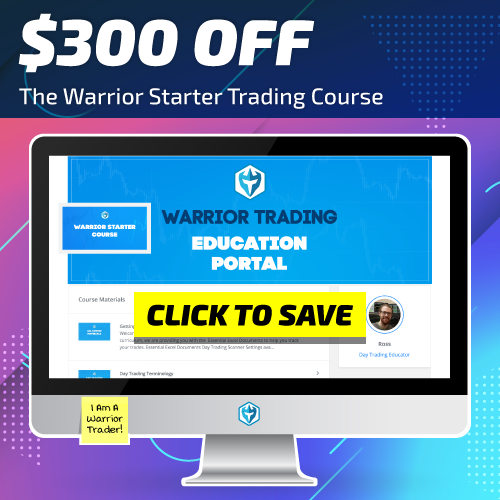 The Warrior Pro is a 90 day program, so members get access to everything in the bundle (courses, chat room, mentoring sessions, and updated scanner settings) for 90 days unless they extend or renew their subscription. When members first sign up, they are given an offer to extend their access to a full year by adding on 9 months for $997 or 2 monthly payments of $497. Members who do not upgrade to 1 year of access are auto-enrolled in a subscription that begins in 90 days, which can be cancelled at any time. Chapter 3: Take Your Positions! 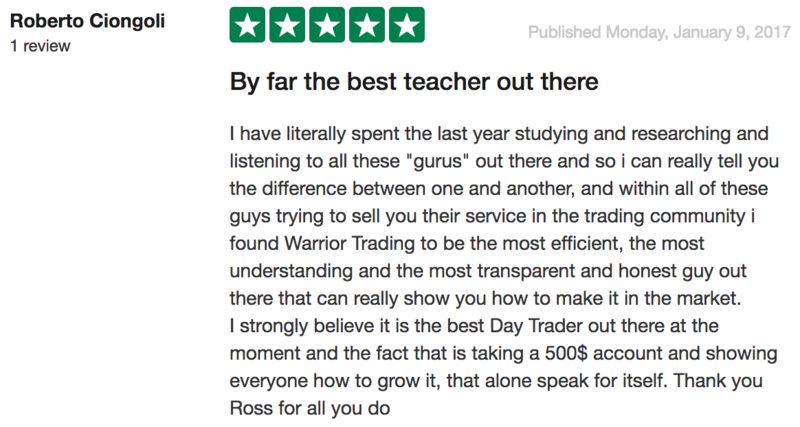 Take the time to check out what students and fans of Warrior Trading have been saying on our testimonials page. Also, bookmark our blog page to stay up to date on tips for trading and market news. 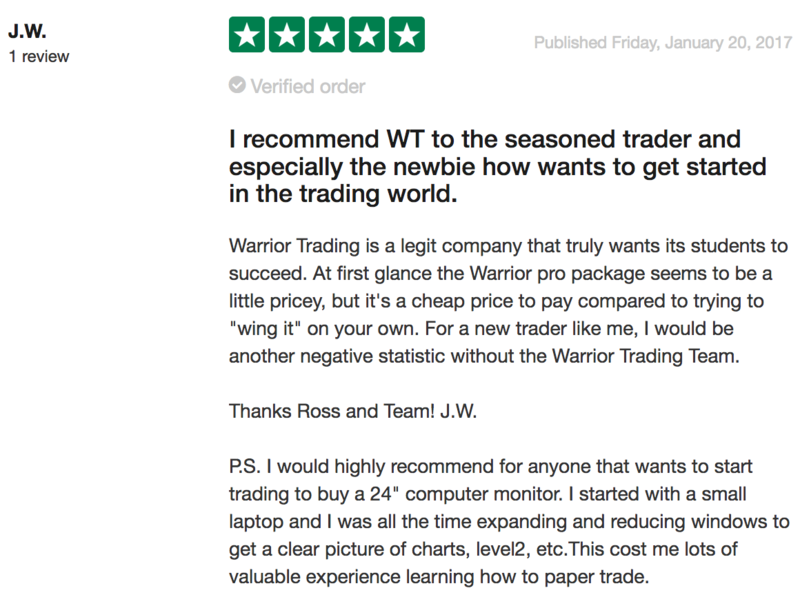 Warrior Trading welcomes traders of all skill levels, which is why we want you to experience our community through our 5 day trial for $5, or getting started now with one of our coupons saving discounts above! If you have any questions we always have an open line of communication. You can email [email protected] anytime. 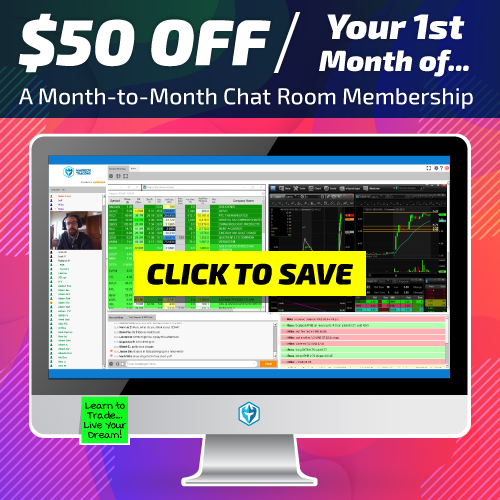 Enjoy streaming Audio, Video and Screen Share in our Chat Room. Receive trade alerts via SMS Text, Email and Chat Room Alert. Watch over my shoulder as I’m trading live on Screen Share. View my Charts, Scanners and Level 2. 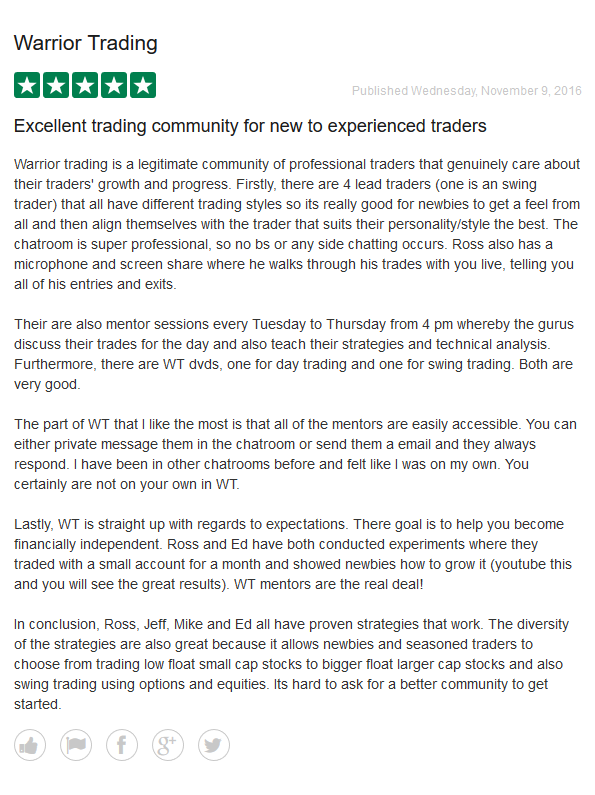 We offer daily market education in our Day Trading Chat Room in the form of daily webinars, live trading, economic calendars and real time streaming news. 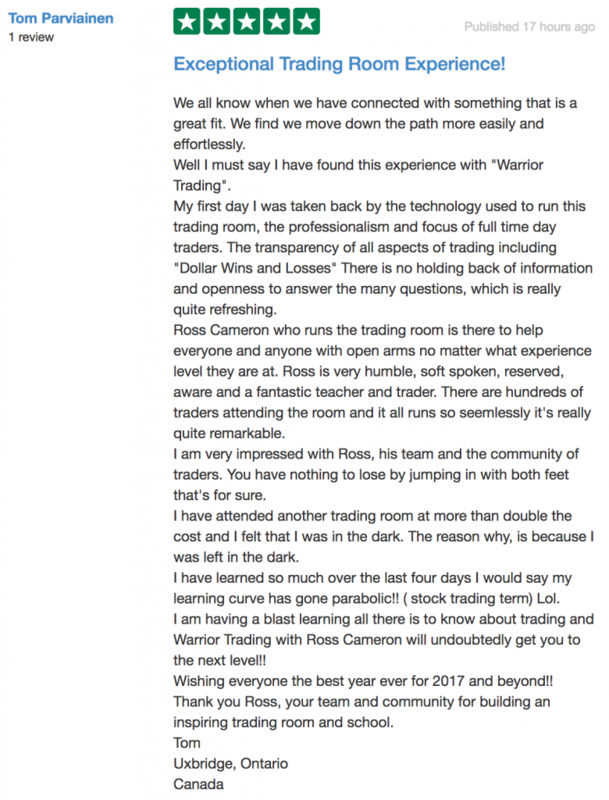 With over 1,000 active traders taking on the markets together, we are one of the largest and most active chat rooms on Wall Street. 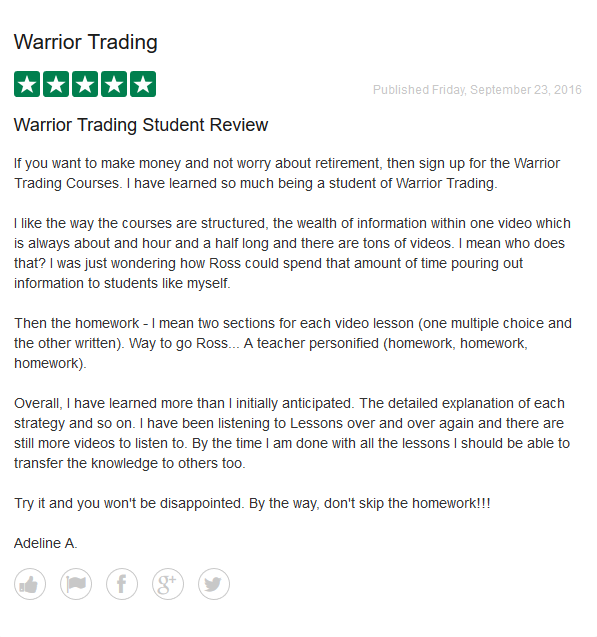 We have prepared all of our trading courses so that they are available for online streaming, instantly and at any time from anywhere! Students gain premium access to our Written Trading Strategies, Excel Docs, and Indicators. 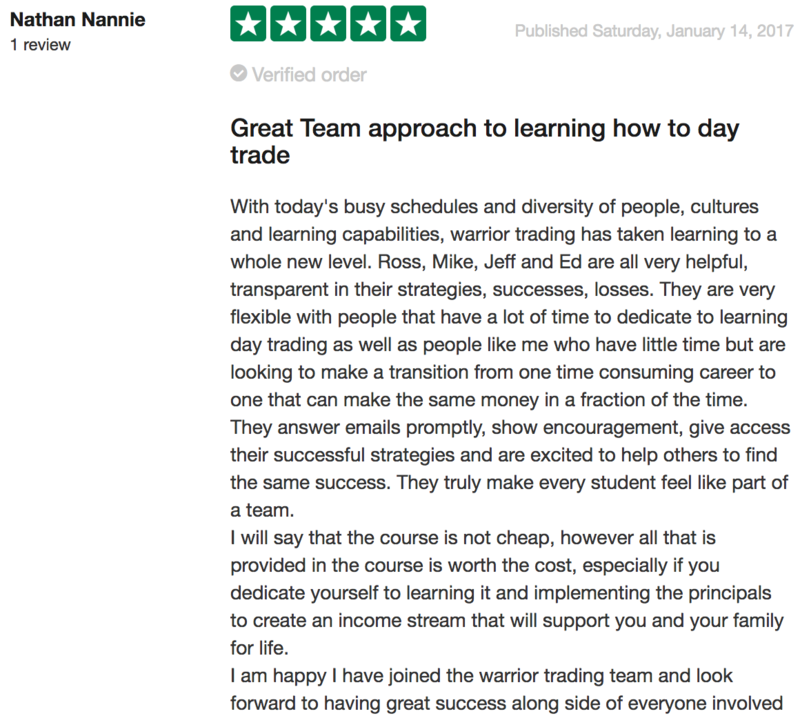 We share our custom filtered Trade-Ideas stock scanner settings with students of our trading courses. 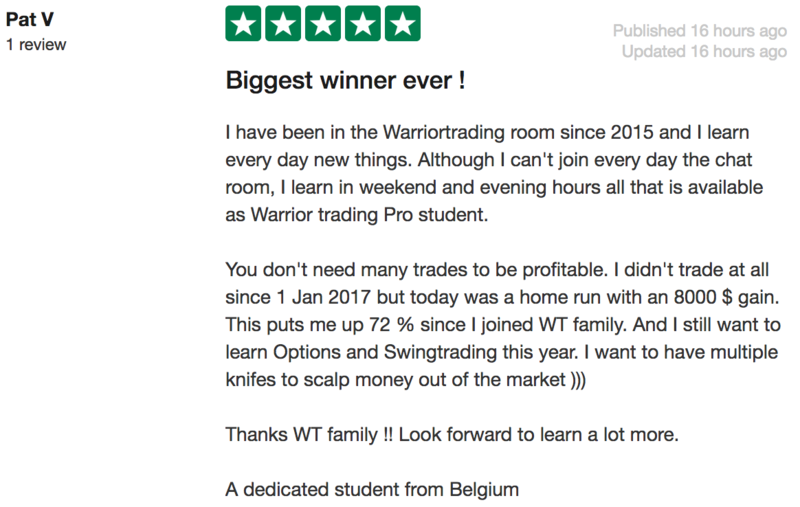 Learn and profit from our most popular trading strategies including Swing Trading, Momentum Trading, and Reversal Trading. Our Simulated Trading Software gives you a direct market access experience. This is key for your training. Enjoy real-time Level 2 and Hot Key functionality! 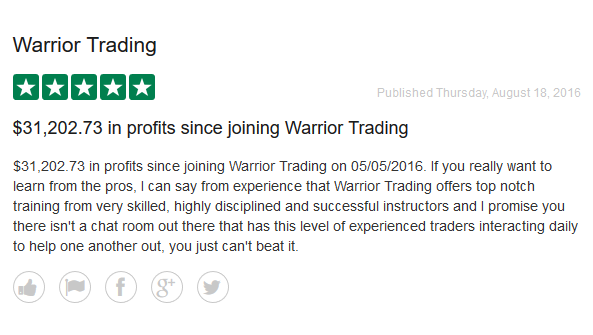 This allows you to scalp momentum breakouts with speed and precision control. 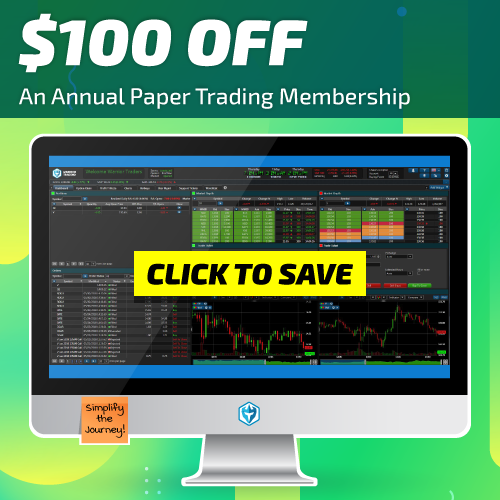 Improve your chart reading with the advanced charting abilities and access to popular technical indicators including VWAP. Trade with $100k in virtual buying power. 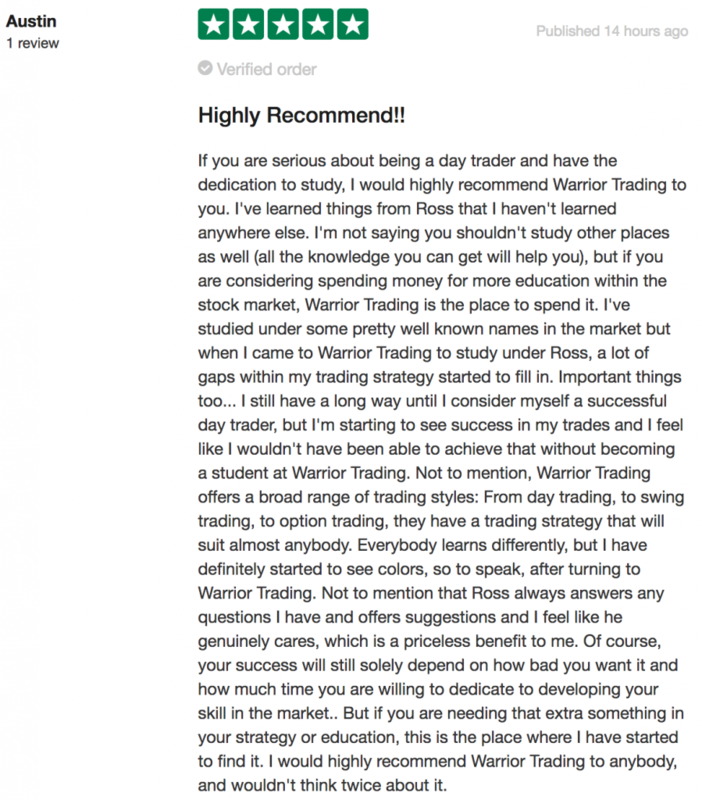 Test your strategies safely before trading with real money.